The Boulder Crest gated entry leads to estates from half to almost 2 acres, on some of the highest elevations within Troon North. 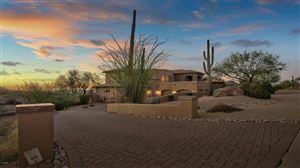 Subdivision contains 57-lots with saguaros, granite outcroppings, and mountain and city light views. Homes 3,257 to 8,265 square feet. See all Boulder Crest at Troon North.